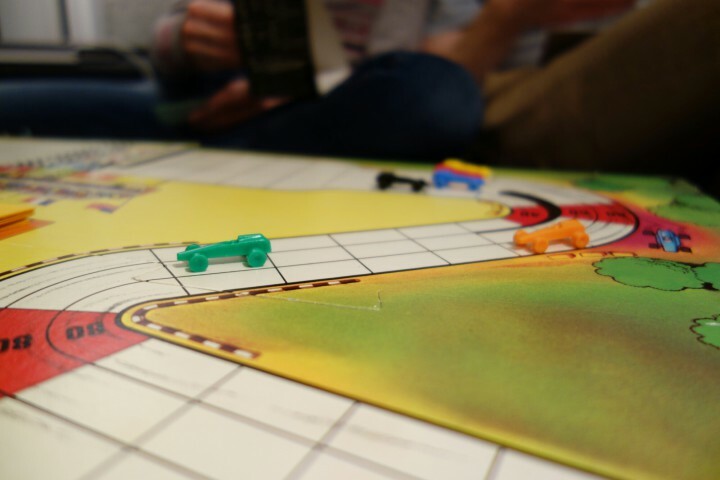 When you’ve been away from your blog for such an embarrassingly long time, you’d better have something exciting to write about when you return. Well, I am here, and so is Arbequina. The love child of the now-closed Door 74 and Oli’s Thai, Arbequina is a tapas restaurant taking over the Door 74 residence. They had a very subdued opening last Friday, they still don’t have a website, and their twitter account has no address and only a handful of tweets. Despite this, on a Tuesday night the – admittedly small – restaurant was packed. I embarrassingly never made it to Door 74 but I’m a massive fan of Oli’s Thai – let’s be honest, what kind of person with working tastebuds would try Laddawan’s food and not fall in love with it – so I had high hopes for Arbequina. First impressions are important and they were very positive. A beautiful space, simply decorated, with a long bar running its length and customers perched on it drinking cocktails and sampling the small plates on offer. Next to that, a handful of tables, all taken. 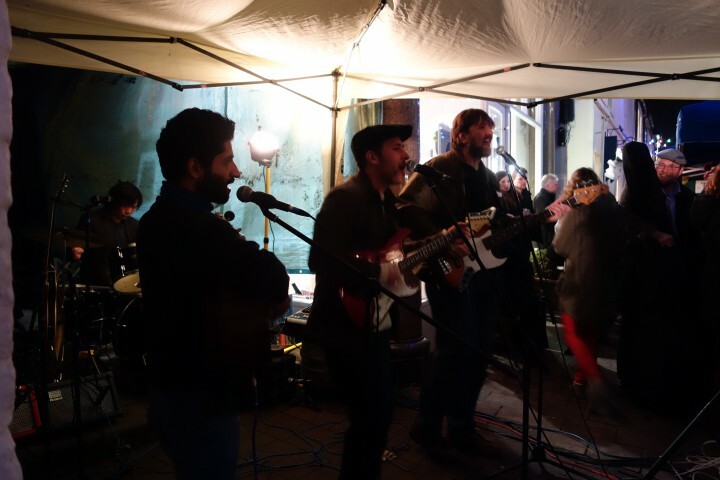 The atmosphere was relaxed, warm and friendly, as was the service, and we took the spare bench seats by the window, looking out on the street. There’s something quite funny about eating your meal at what’s basically a store front, especially when the store is a brand new restaurant on one of the busiest streets of Oxford – people constantly stopped to inspect the unfamiliar entrance, sneak a peek inside and, in some cases, downright stare at our food. We reckon we did a pretty great job at advertising the food, though that was not particularly hard. The menu consists of small dishes, perfect for sharing between two, my favourite way to eat – no food envy here. The prices are not particularly low and the portions are not overly generous but when you try the food it feels completely worth it. Every single thing we had was perfect; from the thinly sliced salchichon, to the juicy tomato toast, bread heavy from the tomato juices and olive oil, to the fat-soaked silky fried aubergines with molasses. Simple stuff that was done so well it became special. 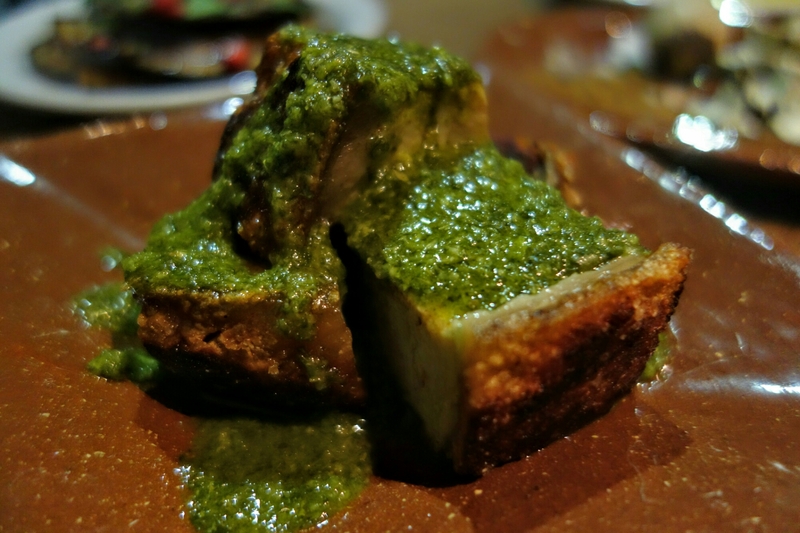 The pork belly with green sauce was quite possibly the star of the show (though it was not an easy choice); a perfect balance of fatty juicy meat and crispy crackling that didn’t leave you worried for your teeth’s structural integrity. The nduja and honey toast was meaty, sweet, spicy; very addictive. A short dessert menu, baked pears, ice cream, and custard tarts, which I can never not order. 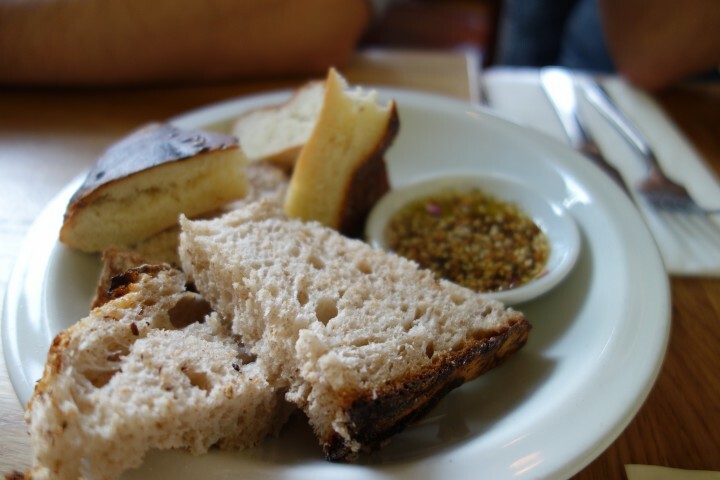 Of course, not everything was absolutely perfect: the bread basket was a little boring compared to the highs of the rest of the food – some sourdough would be good – and I guess they could warm the custard tarts before serving, and, erm, no, that’s about it. Now, after a single visit, on their third night – imagine being this good at something only the third time you do it – it’d be ridiculous for me to claim this is the best restaurant in Oxford. 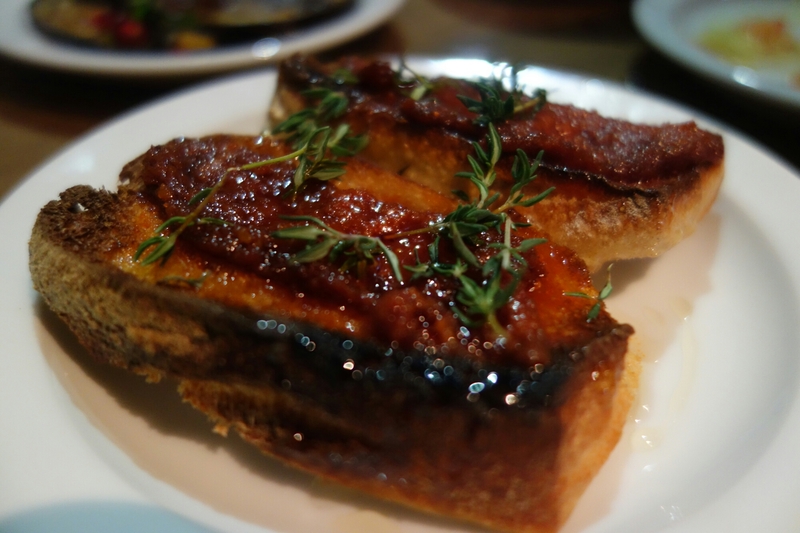 All I’m saying is that, two days later, I am still thinking about the perfect texture of that pork belly crackling, and I did get a little bit emotional about the tomato toast, and I’m really really looking forward to taking everyone I know and even vaguely like to Arbequina. 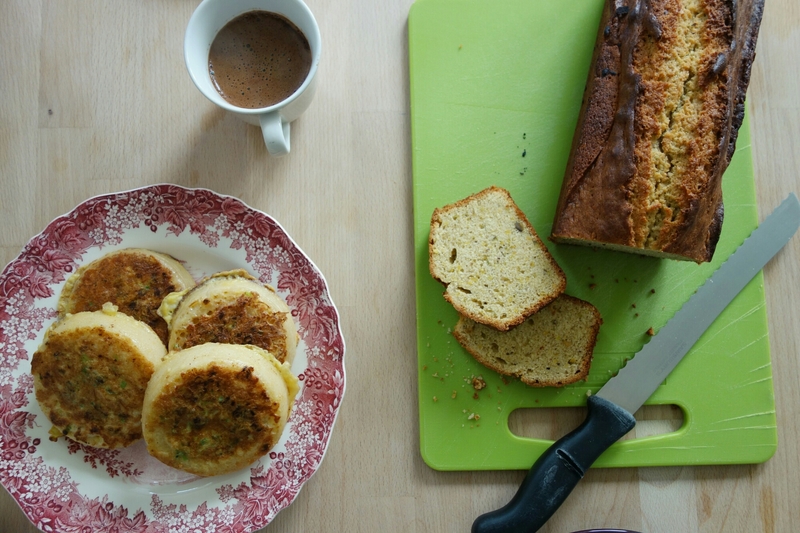 The title of this is pretty much self-explanatory, so this post is less of a recipe and more of a oh-my-god-you-need-this-breakfast-in-your-life call. Forget eggy bread, eggy crumpets are the future. Beat the egg and add onion, salt and pepper. Melt the butter in a non-stick pan. 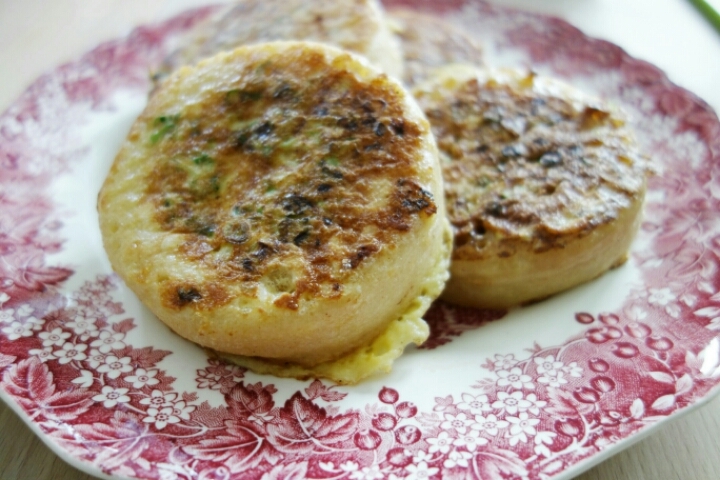 Dip each crumpet in the egg to soak, and place hole-side-up in the frying pan. You’ll probably have some egg left which you can pour on top of the crumpets. Fry on relatively high heat till the bottoms go brown and crispy, then flip and cook till the tops turn golden. Enjoy as part of a balanced breakfast. A few years ago I decided to give up on Greek restaurants in the UK. I obviously love Greek food, and I feel quite homesick at the best of times, so there’s a limit on how many times I can get served dishes accompanied with that weird bright-orange passata, or charged £6 for a shot of ouzo, before I buy myself a one-way ticket back home. The thing is, Greek food is not too hard to make, but does rely on lovely fresh ingredients that are not always cheap or easy to find here. In Greece, my mum will come back with a huge carrier bag stuffed with peppers, courgettes, aubergines, for little over €10. Every time I try to make moussaka in the UK, the aubergines cost substantially more than the mince. I’m saying all this because, plot twist, there is a really good Greek (/Balkan) restaurant in London and finally, after months of drooling over their online menus, I made it there. We turned up for Saturday lunch with the right number of people to allow us to try everything on the menu. We had a couple of our own bottles of wine as this was their first BYOB lunch, but we also tried a Monemvasios from their extensive (mostly) Greek wine list. The restaurant is relatively small but bright, and the big open grill is visible from the tables. The smell from it hits you as you walk in and, together with the music, it set the tone for an authentic-feeling afternoon. 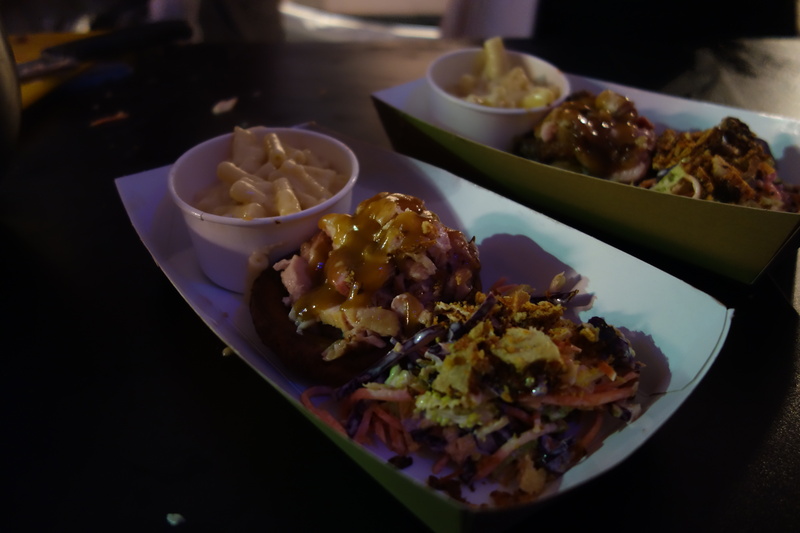 Overall, everything on the menu tasted fantastic; both familiar but also with some interesting twists and additions. 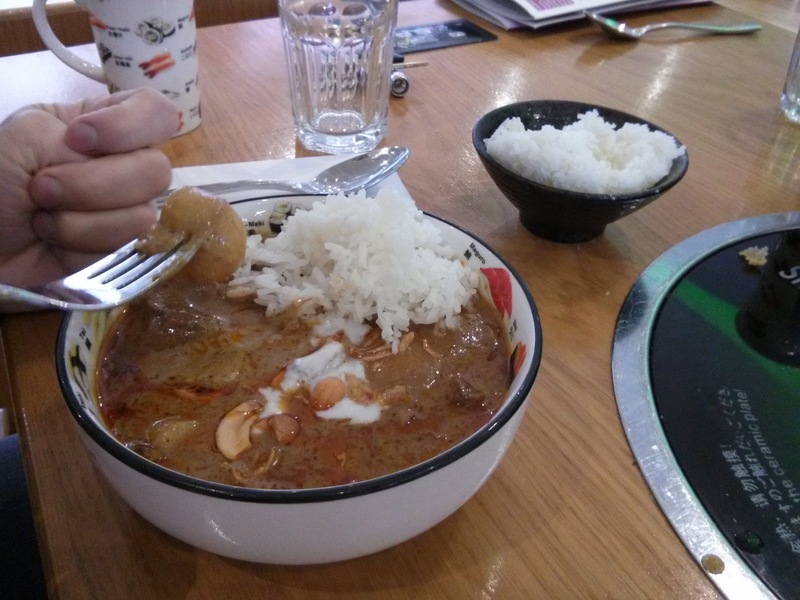 This is pretty authentic stuff – the presentation is more refined but the flavours are punchy. I enjoyed everything but below are some photos of my favourites. The octopus with fava (a houmous-style puree made from yellow split peas) was the dish I was mostly looking forward to, and it didn’t disappoint. The octopus had the right amount of chewiness and good char, and went well with the earthiness of the fava. Pretty to look at, too. 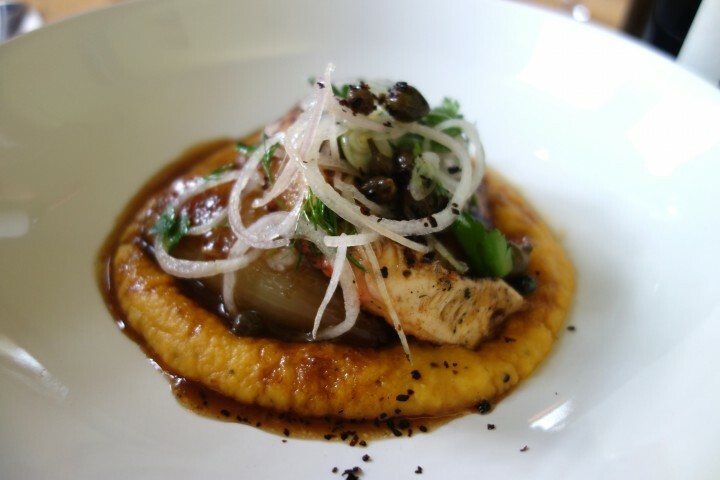 This was the squid with Israeli cous cous, cabbage and orange. 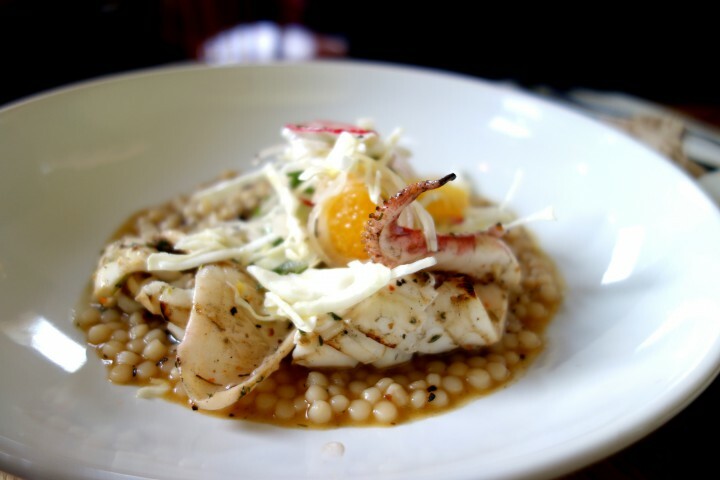 Flash-grilled squid on brilliantly chewy cous cous, with the orange segments keeping it fresh and interesting. 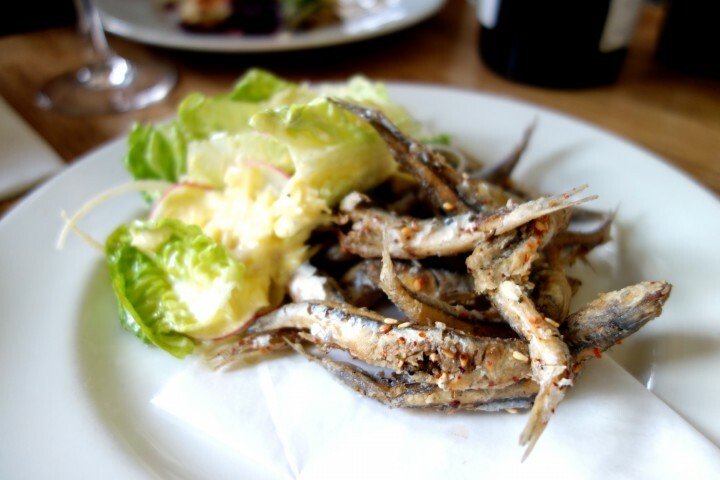 Anchovies were perfectly fried and served alongside gem dressed with a very savoury graviera (my favourite Greek cheese!) sauce. I might have licked the plate. Lovely pork chop and, as the rest of the meats, it came in 6 slices, which was presumably to make sharing between the 6 of us easier. A nice touch. 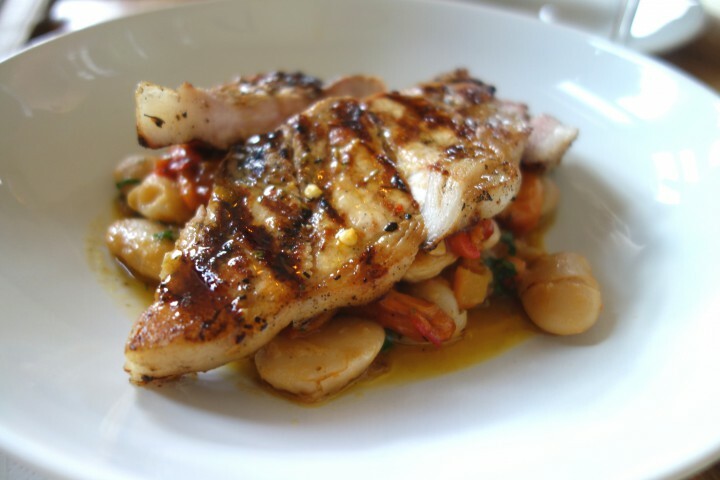 I love gigantes (giant butter beans in tomato and herb sauce) and this was a great example of them. 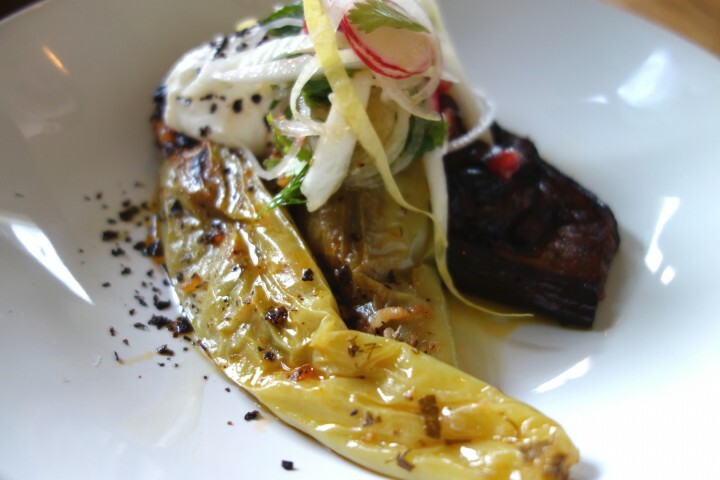 One of the highlights, even for meat lovers, was the imam: aubergines roasted with tomatoes and olive oil till silky soft, served alongside stuffed Turkish peppers. We finished with Greek (or Turkish, if you prefer) coffee, a bottle of Samos sweet wine and a couple of puddings to share. 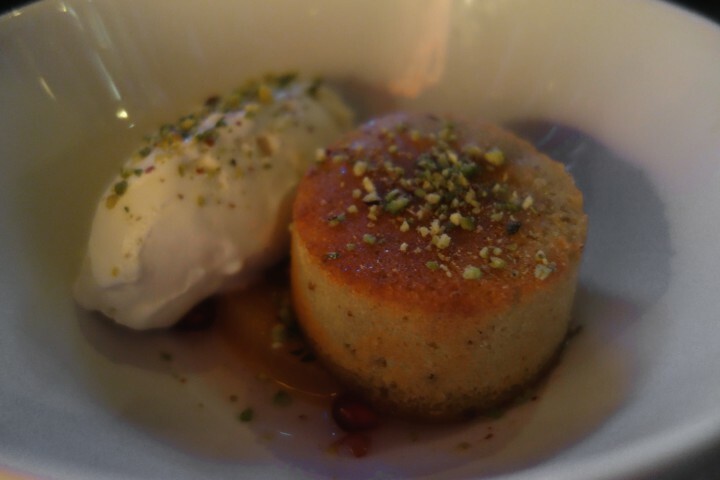 The pistachio cake with mastiha ice cream was my favourite. Mastiha is not everyone’s cup of tea, but it’s really fragrant and an interesting alternative to vanilla ice cream. My boyfriend normally complains it tastes like soap, but he seemed to be enjoying this version of it just fine. We ended up stretching our lunch to about 3 hours, threw in a spot of wine tasting, and left full and happy. The 6 of us paid around £30/head for all the starters and mains, 4 desserts, a bottle of red, a small bottle of dessert wine, and coffees. It’d be great to go back when the weather improves and sit out on the patio. Maybe for an Easter-special spit-roast lamb? Like the self-respecting grown-up that I am, I spent the last month indulging in pretty much every kind of food and drink that is bad for you. And now, I’m trying to eat all the greens, in a desperate attempt to get my body to forgive me. I haven’t been able to give up the carbs and I never will, but there has been minimal meat, lots of vegetables and always a poached egg. This is one of the slightly more involved things I made last week (which tells you a lot about the levels of effort around here). I fancied some salmon as apparently those omega-3 acids are good for you, but the rest pretty much fits the pattern. The recipe below is intentionally/lazily (delete as appropriate) vague, as I never really measure things like garlic or chilli. More fun that way. Marinate the salmon in soy sauce, rice vinegar, some chilli flakes, ginger, and an indecent amount of garlic. Add also the white part of the spring onion, thinly sliced. Set the rice to boil. Rice noodles or udon would also be good here. Cook the vegetables — I stir-fried mushrooms and boiled some cavolo nero. 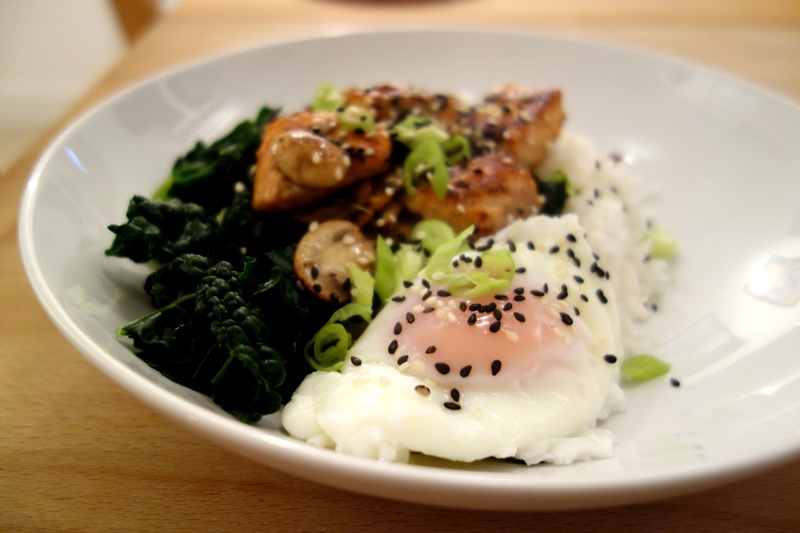 Heat a small amount of sesame oil in a non-stick frying pan and cook the salmon, together with the marinade. 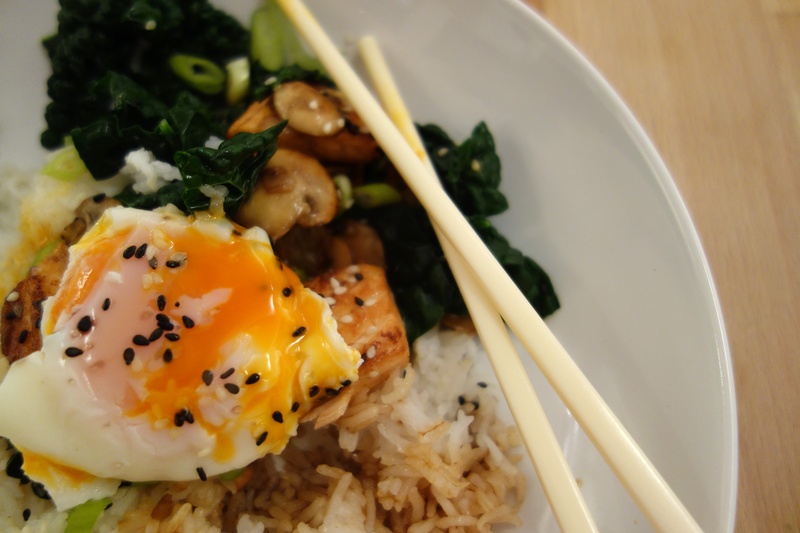 When it’s done, mix with the vegetables, serve on your carbs of choice and top with a poached egg, the green part of the spring onion in slices, and sesame seeds. Feel slightly healthier than before. Just in case you’re all completely sick of turkey by now, but hopefully not all food, I thought I’d post what I cooked for an early Christmas lunch with some friends last Sunday. I find turkey really boring and we never bothered with it in my family – we just tend to make whatever we fancy or can find at the local butchers. I think this would go down well as a New Year’s Eve dinner too. 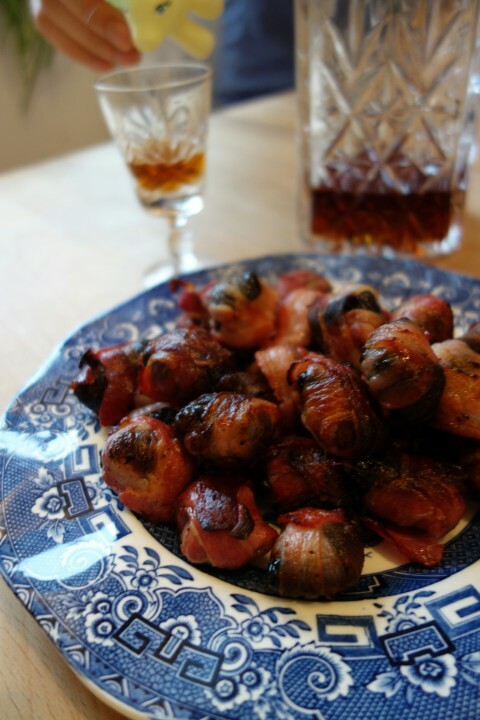 I didn’t bother we starters as we had two big roasts for the main, but Alex made some bacon-wrapped dates – so simple but really good, and kept guests happy while we were panicking over pork crackling. To make them, cut the bacon rashers in half lengthwise and wrap each date with half a rasher. Pop under a medium grill till crispy. The two mains were the ever-dependable pork belly with anchovies and chestnuts (recipe here) and a slow-cooked lamb shoulder with a few garlic cloves stuffed in it. 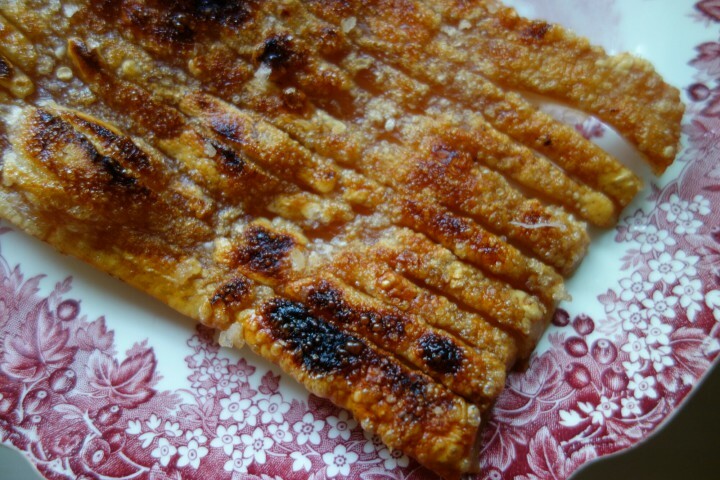 Both cooked for 4 hours, and the pork crackling was finished off under the grill. I added potato chunks to both trays about an hour before the meats were done, and let them cook in the meat juices. Served it all with honey-roast carrots and parsnips and boiled cavolo nero. 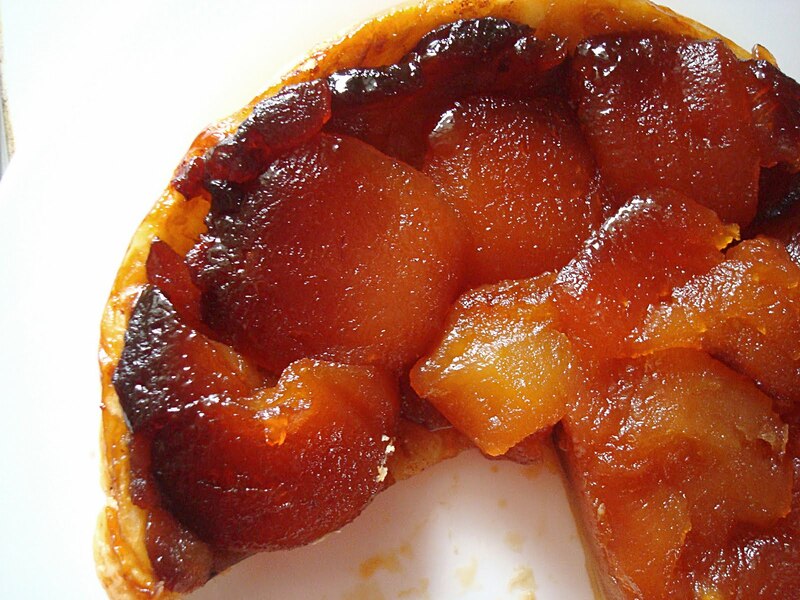 It had been ages since I made one of my favourite desserts, an apple tarte tatin, so I gave it a go again. I’m a bit out of practice so it wasn’t as photogenic as last time, but still tasted just as good. The apples take a good few hours to caramelise in the oven, so I cooked them the night before and finished them off with the pastry added on top after the meats were done. It takes a while, but involves minimal effort (apart from praying that the apples drop when you flip it upside down). We finished it all off with a selection of cheeses and chocolates, and a good round of the Formula 1 game which is optional but highly recommended. Merry Christmas! About a year ago, when I first found out I was moving to Oxford, I did what any sensible person would do: research the restaurants and make a list of the ones I wanted to visit. The Guardian’s Oxford’s top 10 budget eats seemed a good place to start, but I was quite annoyed to find out that the Big Bang had since closed. Forward a few months later and it’s back, at a different, posher location apparently. This was the first time I had been to the Castle Quarter, and I wasn’t sure how I felt about all these restaurants taking over the beautiful historic buildings, but half asleep after a night shift and with only an hour on the car parking meter, there wasn’t much time to worry about it. I must have been a bit grumpy, as things started annoying me quite early on. 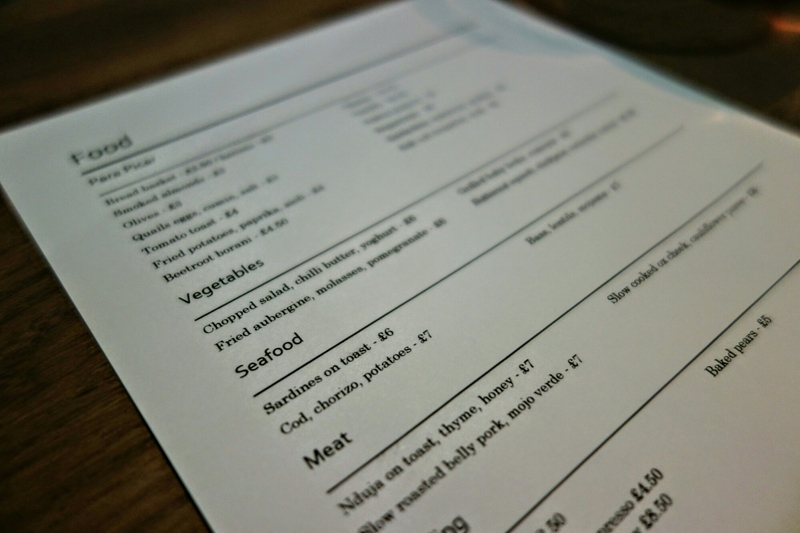 I liked the newspaper-style menu, and the room was bright and spacious. Using a tablet to take an order though is silly, especially when it’s obviously taking much longer than good old-fashioned pen and paper would. Service was friendly, but they did that weird thing when they pull out a chair and sit next to you when ordering, which I’m not very keen on. It just felt like they were trying a bit too hard to be cool. But none of that is too important if the food is good. I suppose it’s a bit silly to go for anything other than sausages, but Alex liked the sound of the bacon steak and poached eggs. It was pretty disappointing; the bacon was, and I quote, “fairly gash”. The eggs were overcooked – is there a worse food experience than cutting into an egg expecting gooey yolk to ooze out, and getting, well, nothing? 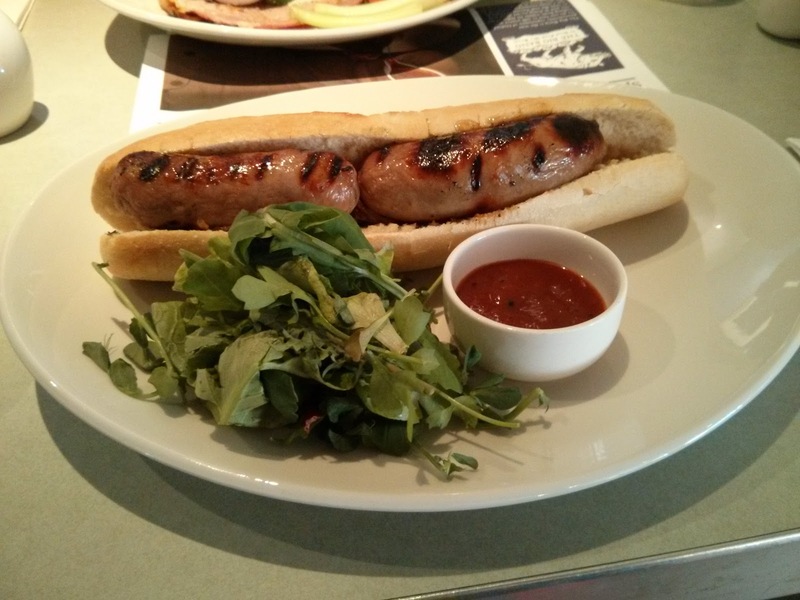 My baguette was much better, with two fat juicy sausages and served with fried onions and a tangy homemade ketchup. I gave half of it to Alex to make him happier. I guess the moral of the story is pretty obvious: stick to what the restaurant claims to be doing best – sausages, in this case. But you’d expect anyone to be able to poach a couple of eggs and fry some bacon. 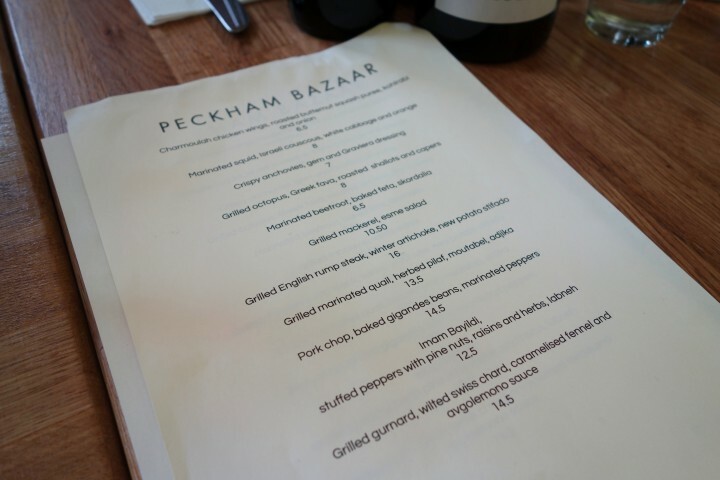 Having said that, I might go back for dinner at some point and try the main menu – the selection of sausages is pretty extensive and sounds pretty interesting. We’ve got a new thing. The new thing involves going for “posh lunches” on Thursdays before fly-away races – having to be at work at 1 in the morning on Fridays means that I need to encourage myself to sleep for a few hours on Thursday afternoons/evenings, and a big boozy lunch seems the way forward. I quite like the novelty of half-day Thursdays actually, and there are lots of great value set lunches to be tried. 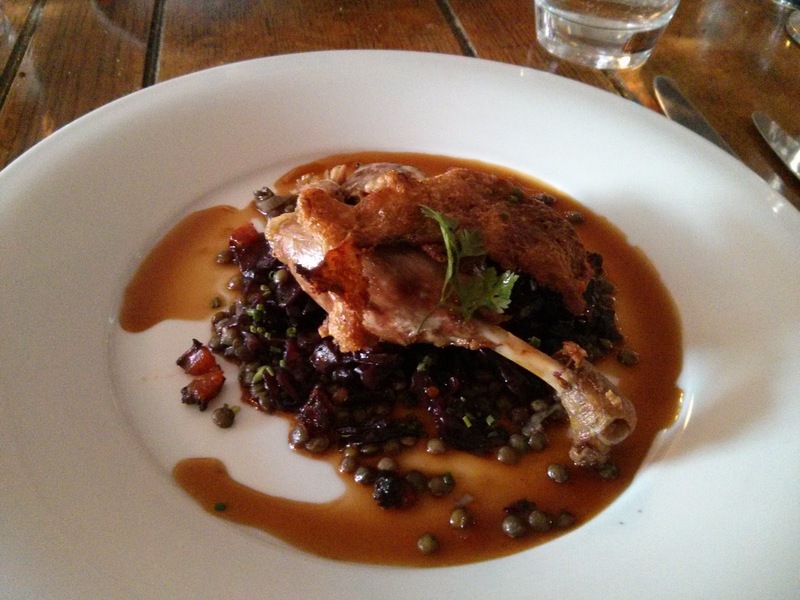 For the first one, we headed down to the Wild Thyme, which is apparently the best restaurant in Chipping Norton. Well, I haven’t eaten anywhere else there, but I’m happy to believe that. The dining space is, for lack of a better word, cute. Some might find it a bit too much, but I’ve got a thing for white-painted wood and fancy wallpaper – blame Pinterest. 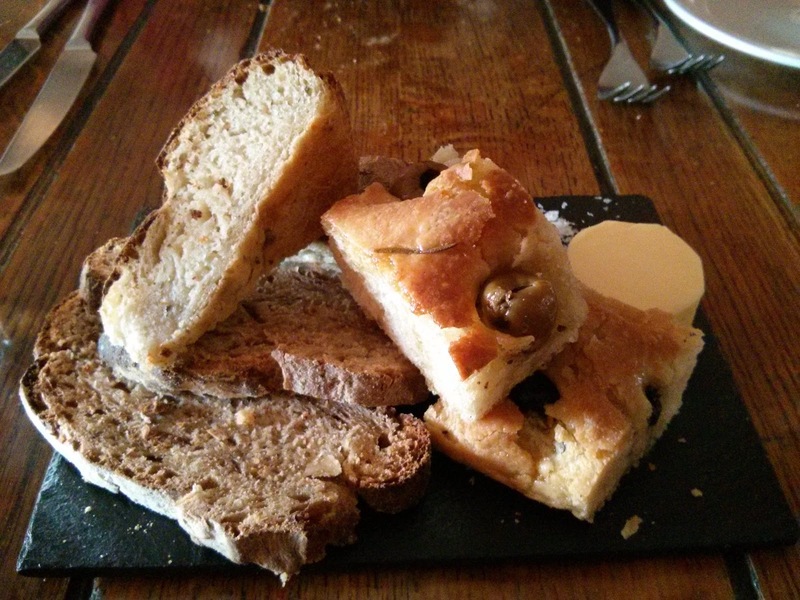 Anyway, we ordered some (non-alcoholic) drinks – the problem with eating outside Oxford is that you have to drive back – and munched on the house bread which was really enjoyable – an olive focaccia, a potato bread and some brown sourdough, if I remember correctly. 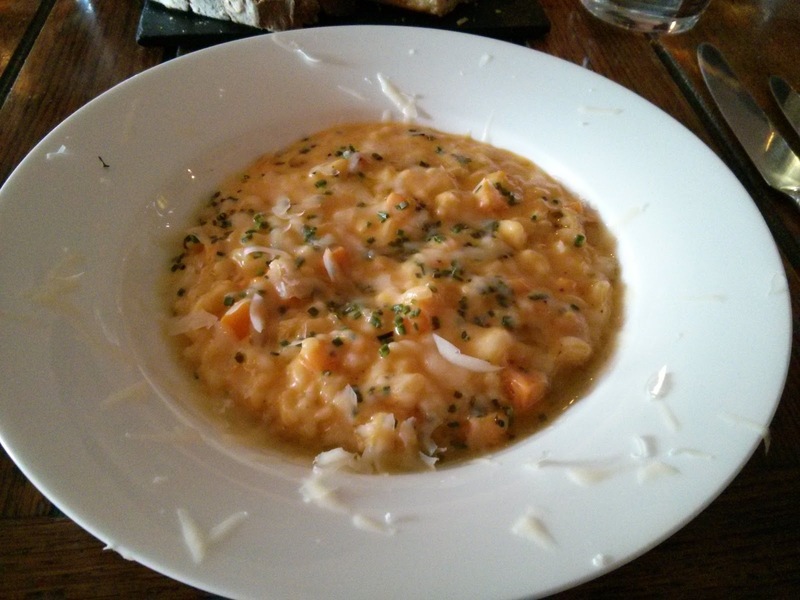 I was tempted by a duck starter, but I also wanted the duck main so I half-heartedly settled on the butternut squash risotto, which was just as well as it was probably the highlight of the meal. 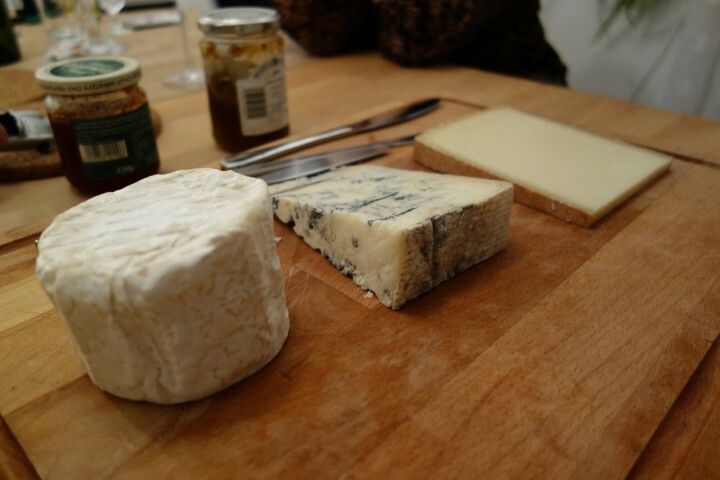 Creamy and rich, I dread to think about how much cheese and butter had gone into it. That’s not to say the rest wasn’t good – a seafood platter starter (brown shrimp, crab, smoked salmon, salmon mousse and probably something else I’m forgetting now) tasted fresh and my main of confit duck, lentils and chorizo was a great combination of strong flavours and textures – especially loved that deep-fried duck skin. 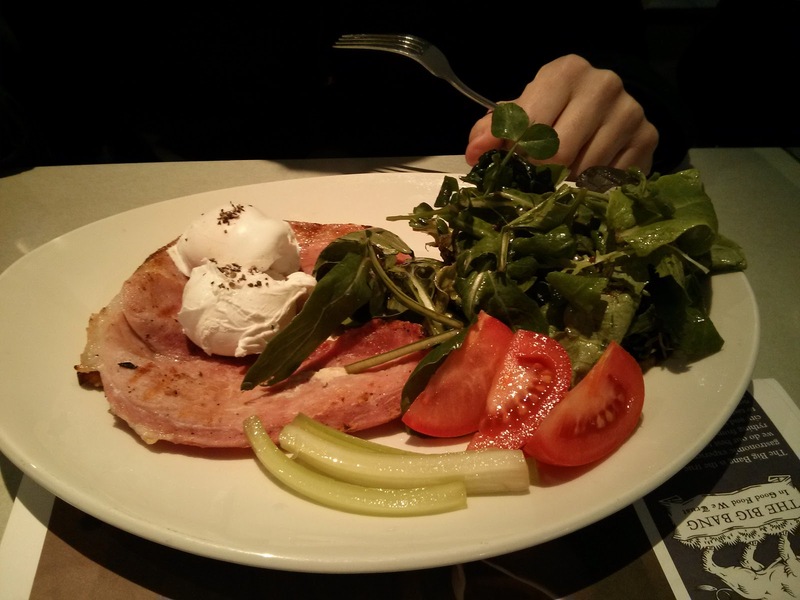 Really, the only thing we could complain about was the few bones we found in the haddock main (served with hollandaise and a poached egg – very good). But obviously we didn’t complain, as the rest was near perfect. 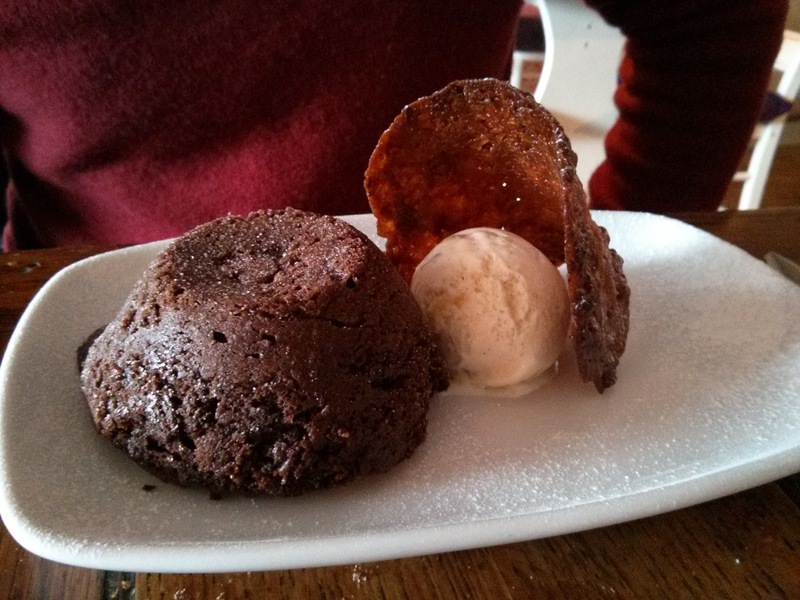 We of course had desserts, a molten chocolate cake with ginger ice cream (why do people put ginger ice cream on everything nowadays?! 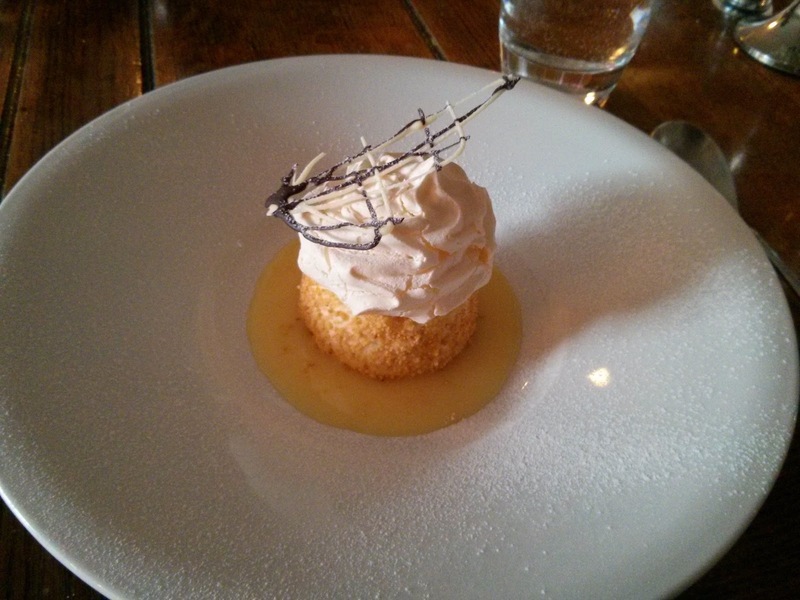 hate the stuff) and a baked vanilla cheesecake which was very rich and creamy. Nicely balanced though by the lemon curd flavour-wise and the meringue texture-wise. What always amazes me at restaurants like this is the quality of food you get for your money with lunchtime deals. 3 courses for £22 or thereabouts, and I could have easily spent that on something like Jamie’s Italian which is just upsetting. So, yeah, if you find yourself in the Oxfordshire countryside, go. 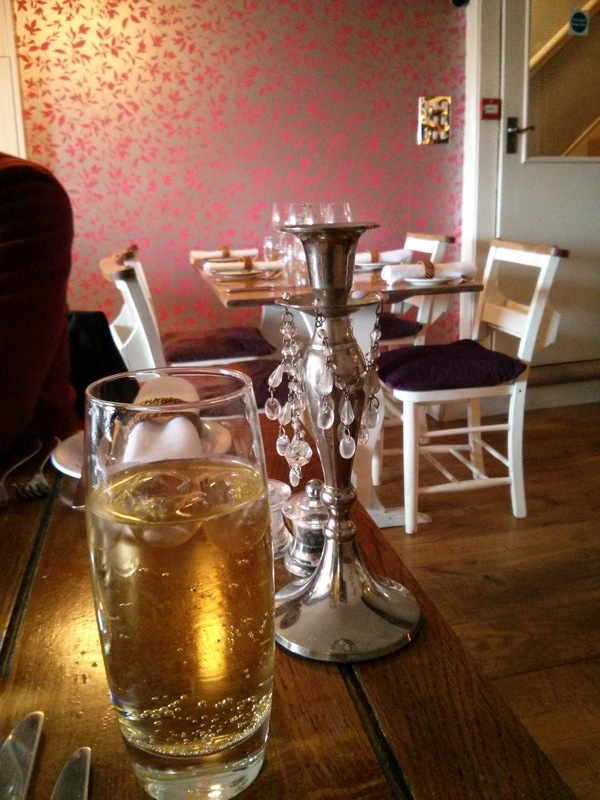 Lovely service, lovely food, lovely space. I’ll be back soon. Shabu Shabu is one of the many recent incarnations of the mirror image of Teri Aki, situated by the river just off Magdalene bridge in Cambridge. Teri Aki is one of my favourite restaurants in Cambridge – it helps that I lived about 200 metres from it for 3 years so I’m rather emotionally attached to it. Their stir-fried udon have cured many a hangover, and their dumpling soup is perfect for a cold wintery day. There’s not much they do wrong, and that’s why the restaurant is always packed. Shabu Shabu though (or Aki Teri as it used to be called) is a complete mystery to me. Having been an almost identical copy of Teri Aki initially, with a slight Korean twist, it moved on to being a cocktail bar, then started serving hot pots and dim sum and is now mostly Thai. We thought we’d be adventurous and give it a try. We were hangover and starving so we ordered a few starters to share and a main each. The starters were slightly hit-and-miss. 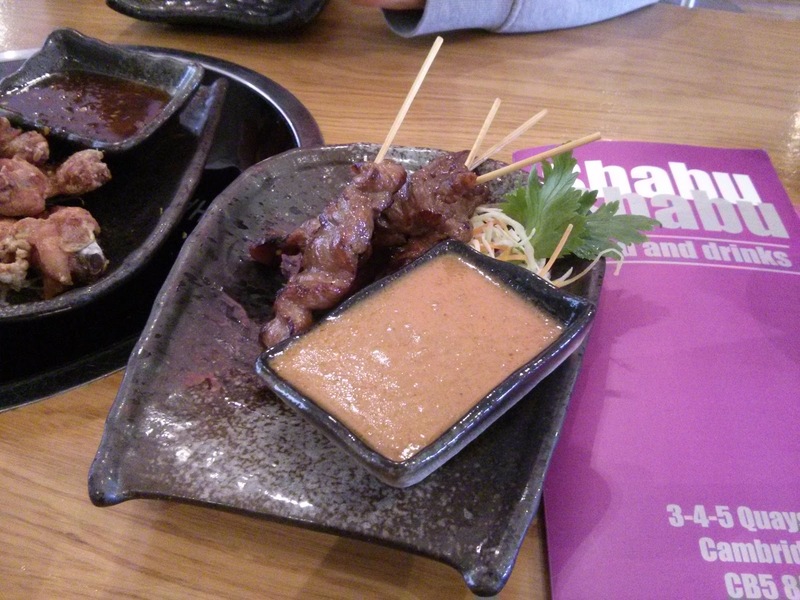 The pork skewers with some satay-style sauce were juicy and with a good bit of char on the outside. The sauce was great too. 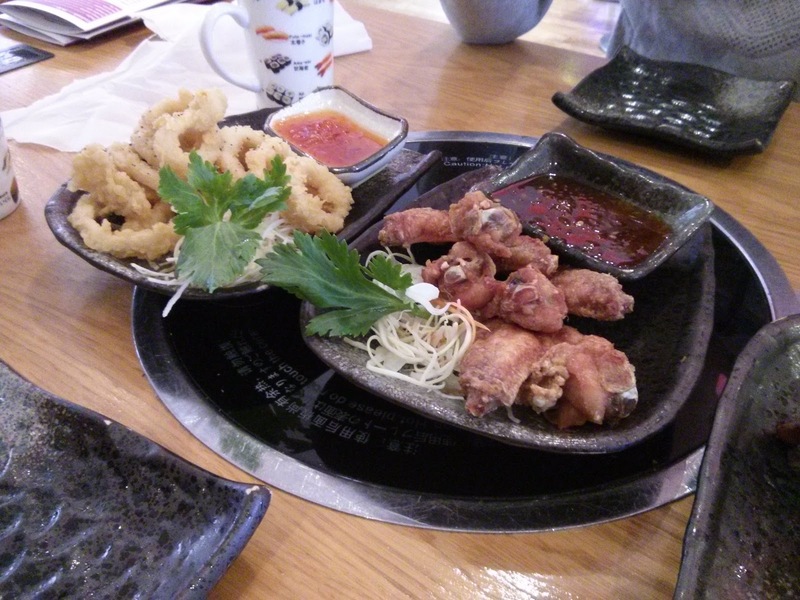 Deep fried chicken wings were also nice; good crispy skin, reasonably tasty sauce. The squid rings though were mediocre at best, looking like what you’d expect to find in the freezer section of a supermarket. 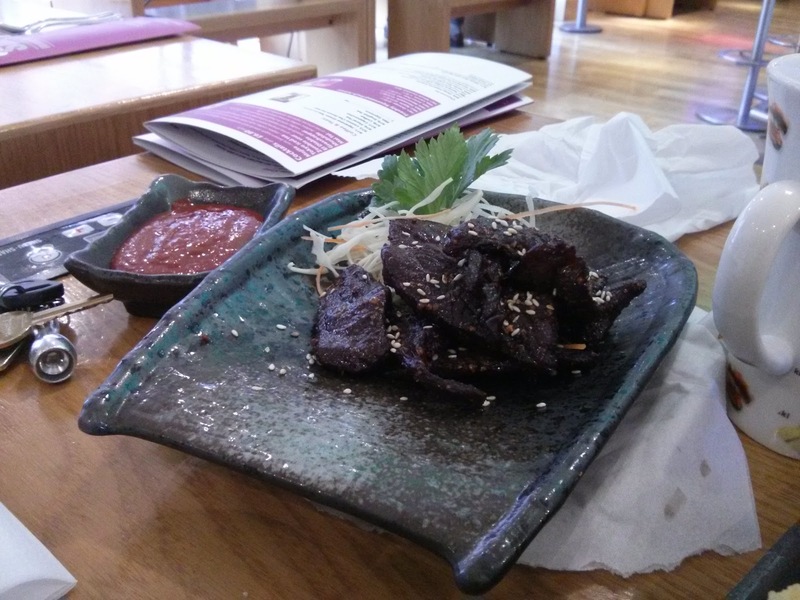 And then there were these deep fried strips of beef which were dry and strangely tasteless – though the latter could have been the effect of the rather spicy sauce that accompanied them. 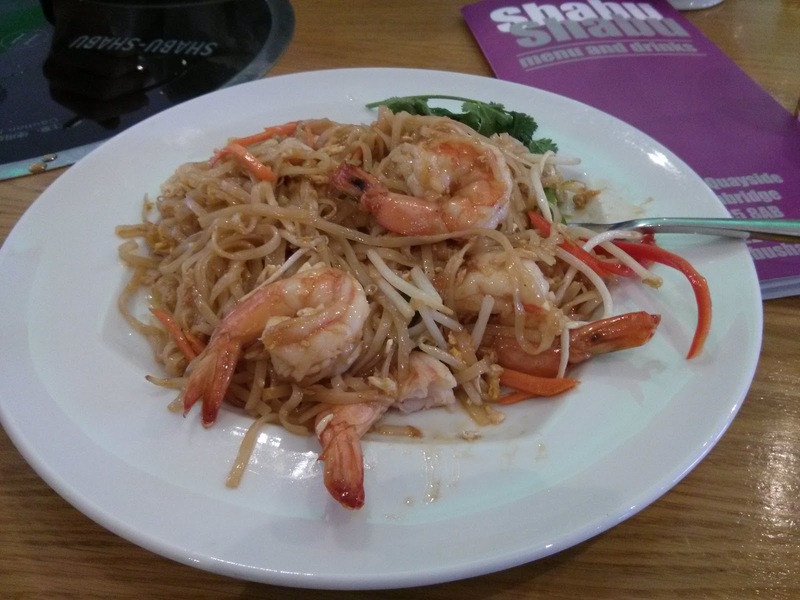 My pad thai was OK – the noodles had a nice bit of bite on them and the prawns were large and mostly juicy. But the sauce was too sweet and it soon became a bit sickly. No lime to cut through the richness either. A beef massaman was probably the best of the mains, rich and warming. 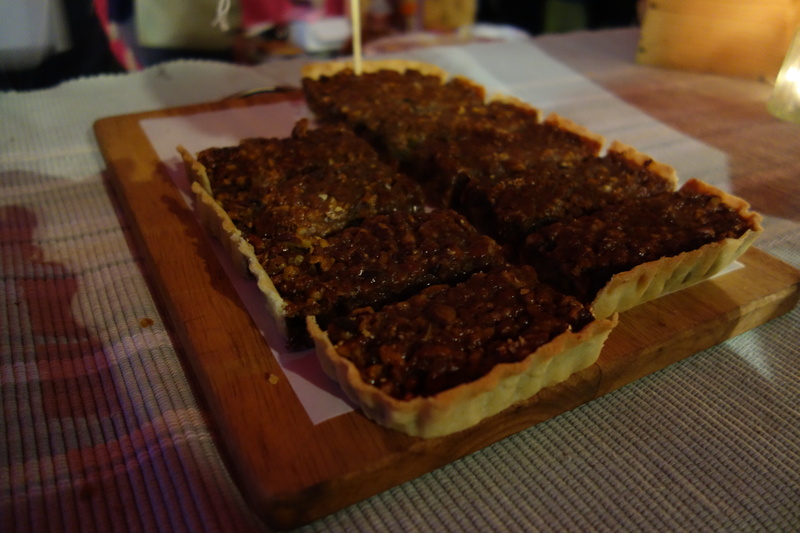 I only had a small taste but I suspect that if I had to eat the whole thing I might have struggled with the richness. The third main was a completely uninspiring chicken and vegetable stir fry. I reckon they could do with some stir frying lessons from their older and more experienced sibling next door. All in all, meh. I’ll wait for the inevitable next version of the restaurant before I return.